I'm a week late it seems but my good mate VelkyAl over at Fuggled is hosting the session this month. He organised American Mild Month and managed get nearly 50 breweries involved. Attempts to do something similar in Ireland didn't work out very well. Brewers are too busy I suppose. Since it's American Mild Month, that's the topic of the month or more to the point, local versions of a mild. Ireland doesn't really have much in the way of milds, at least little branded as that style. One or two pop up every now and again. To my knowledge, we only have two using that as a style name. One from Donegal brewing and the other from Rascal's. I haven't had either but if I manage to try one this weekend, I'll update the article to reflect. What's a mild? That's the first question you need to ask. The full BJCP description is here but the main point might be the following. Overall Impression: A light-flavoured, malt-accented beer that is readily suited to drinking in quantity. Refreshing, yet flavourful. Some versions may seem like lower gravity brown porters. 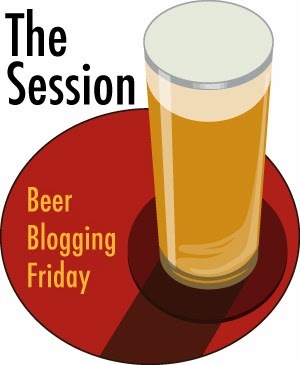 Comments: Most are low-gravity session beers in the range 3.1-3.8%, although some versions may be made in the stronger (4%+) range for export, festivals, seasonal and/or special occasions. Generally served on cask; session-strength bottled versions don’t often travel well. A wide range of interpretations are possible. History: May have evolved as one of the elements of early porters. In modern terms, the name “mild” refers to the relative lack of hop bitterness (i.e., less hoppy than a pale ale, and not so strong). Originally, the “mildness” may have referred to the fact that this beer was young and did not yet have the moderate sourness that aged batches had. Somewhat rare in England, good versions may still be found in the Midlands around Birmingham. One of my favourites is Thwaites Nutty Black which won two gold medals and was crowned World's Best Mild 2014 at the World Beer Awards. That on cask is pure heaven. On the question of localisation, how would we localise a mild in Ireland? The closest thing to a unique style of beer that we have is the Irish Red. Some would argue that this isn't a style, it's the same as an English pale ale or bitter but there are differences. It's more malt forward, especially in the caramel department and has little in the way of hop aroma or flavour, Bitterness is almost non-existent in most. They tend to be over the 4% mark so perhaps a little on the high side for a mild. They are similar to some Scottish ales except not quite as caramel forward and a little dryer due to the use of roast barley. If we were to take an Irish Red, lower the ABV and serve it young, then it might pass as a mild. We could also use local ingredients native to Ireland. We have lots of bogs here so bog fauna like heather and bog myrtle could be used to compliment or even replace hops since hops are not native to Ireland and are not commercially grown here any more other than in small cases by a few breweries. The White Hag brewery does a couple of these but they are 7.5% and 8.2% so perhaps the second runnings of their heather ale or bog ale might work as a localised mild? I'm a fan of milds and would like to see more of them in Ireland. One last thing, I find myself hosting next months session. You can expect an announcement in a week or so but to get prepared, the topic will be about lost / almost forgotten beer styles. I stand corrected, then. My take was that if someone really wanted a mild they'd probably make do with an Irish red, even if it is 1% too strong for style. Interested to try the varieties you mentioned here.